When we increase training levels or exercise excessively, delayed onset muscle soreness (DOMS) can kick in one or two days afterwards. This is caused by micro-tears in your muscle that is key to rebuilding fibres to aid the muscle-strengthening process however; the micro-tears also cause inflammation that causes the pain. There are many ways to improve DOMS including ice baths, Renew ECP Therapy or deep tissue massage. No matter what method you choose, good recovery should be additionally supported with a good diet. Choosing whole foods, being sure to periodise the diet to plan meals around training and monitoring hydration levels are some of the simple things we can do. On days when we burn more energy, we should eat more, to refuel our system. Just like fuelling up a car for a long journey. Replace Fluids – You lose a lot of fluid during exercise and ideally, you should be replacing it during exercise, but filling up after exercise is an easy way to boost your recovery. Water supports every metabolic function and nutrient transfer in the body. Eat Well – After depleting your energy stores with exercise, you need to refuel if you expect your body to recover, repair tissues, get stronger and be ready for the next challenge. Rest – Time is one of the best ways to recover and heal. Your body has an amazing capacity to take care of itself if you allow it some time. Sleep – Optimal sleep is essential for anyone who exercises regularly. During sleep, your body produces Growth Hormone (GH) which is largely responsible for tissue growth and repair. The food you eat and drinks you consume before bed can affect this. Injury Prevention – Nourishing the body at the right times repairs muscle tissue, accelerates the healing process, reduces inflammation and reduces risk of injuries. The majority of sport injuries are a result of wear and tear. Rehydrate – ‘Sweat loss weight’ Weigh In. Drink 500mls fluid + body weight deficit. Most players will need to rehydrate up to 2000ml’s post match, after losing 2-3kg body weight, all body-water. A loss of 2% hydration affects performance physiologically. Replace – ‘Rebalance blood sugars’ Simple sugars are essential immediately after. Sugars from food and fruits e.g. satsuma, mango, banana, peaches, plums stabilise glucose fluctuations. Recover – ‘Window of opportunity’. Glycogen retention has an hour within which to maximise tissue repair. A Carbohydrate:Protein (3:1) blend puts calories back into the system. Directly after eat something with equal mixture of Carb/Protein/Fat. By taking advice from Registered Dietitians, we can make sure that people are recovering to the best of their abilities, whether you are an elite athlete or going to the gym after work. Matt received his Masters of Nutrition and Dietetics degree from the University of Nottingham, including clinical training as an NHS Registered Dietitian. He is now working in professional football with athletes at the highest level. A UEFA Licensed Coach bringing nutrition and science into the game, he has worked in both the UK and USA, including with Gold medal winning Team GB Paralympians. 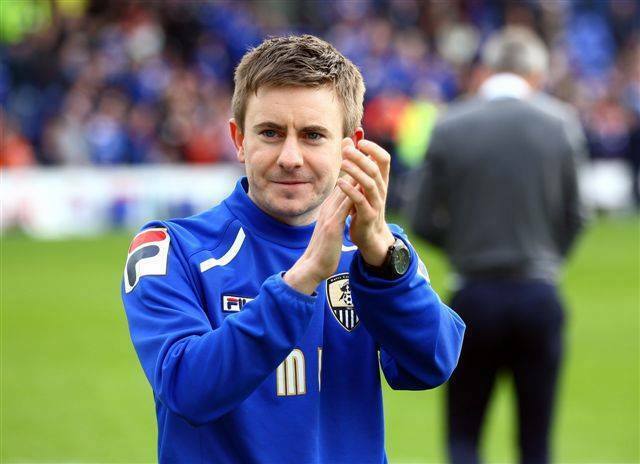 Matt has had charge of nutrition at a number of professional Football Clubs, including in the Women’s Super League with Notts County Ladies who reached the FA Cup Final at Wembley in 2015.